1 Tibetan artists in traditional costumes perform opera at the Tibetan Institute of Performing Arts in Dharamsala, India. 2 New York firefighters battle a blaze at a commercial and residential block on March 26, 2015, in New York's East Village. 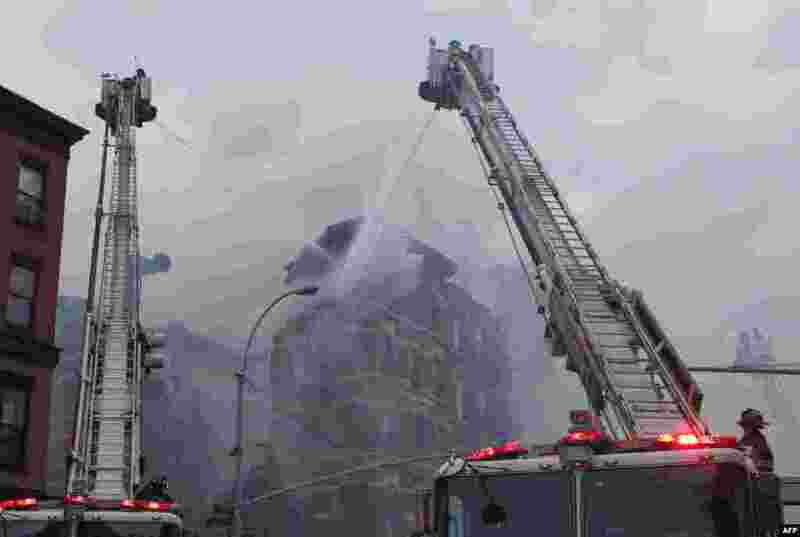 The entire building at 125 Second Avenue was engulfed in flames and the lower two floors appeared partially collapsed, television footage and press photographs showed. Twelve people were reported hurt. 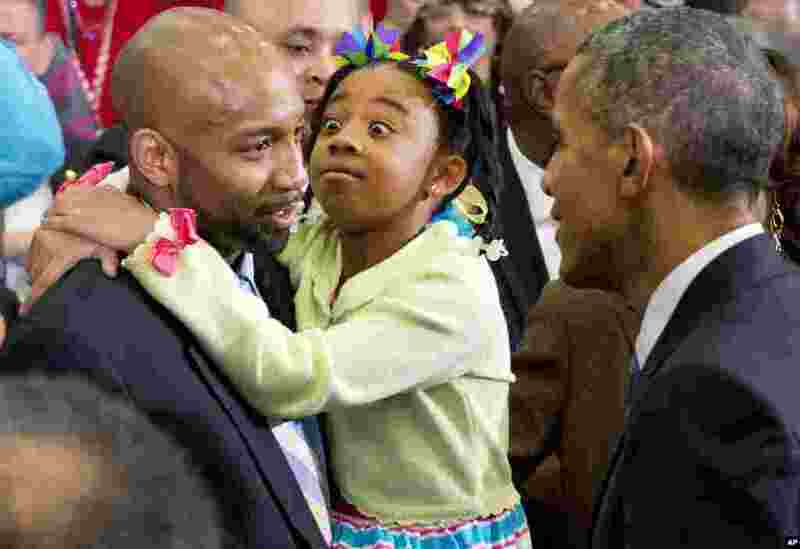 3 A girl reacts as President Barack Obama greets her and others in the crowd after speaking about payday lending, at Lawson State Community College in Birmingham, Ala., March 26, 2015. 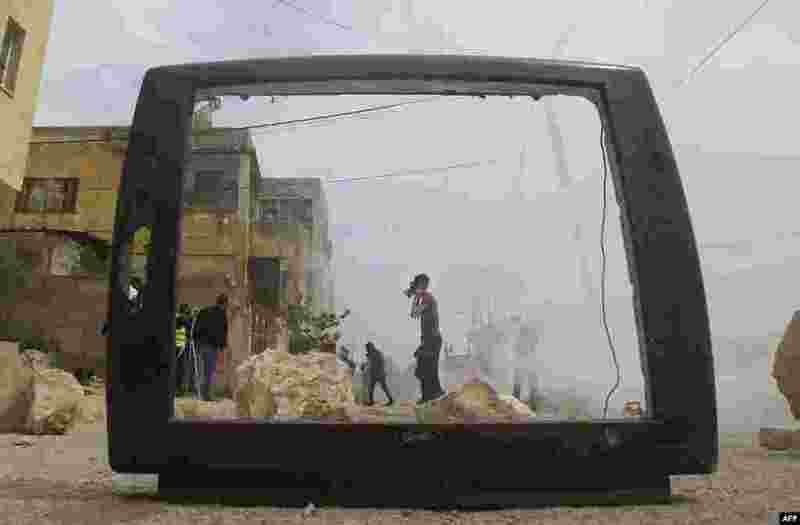 4 An image shot through the frame of a broken television shows Palestinian protesters during clashes with Israeli security forces after a demonstration against the expropriation of Palestinian land by Israel in the village of Kfar Qaddum, near Nablus in the occupied West Bank. 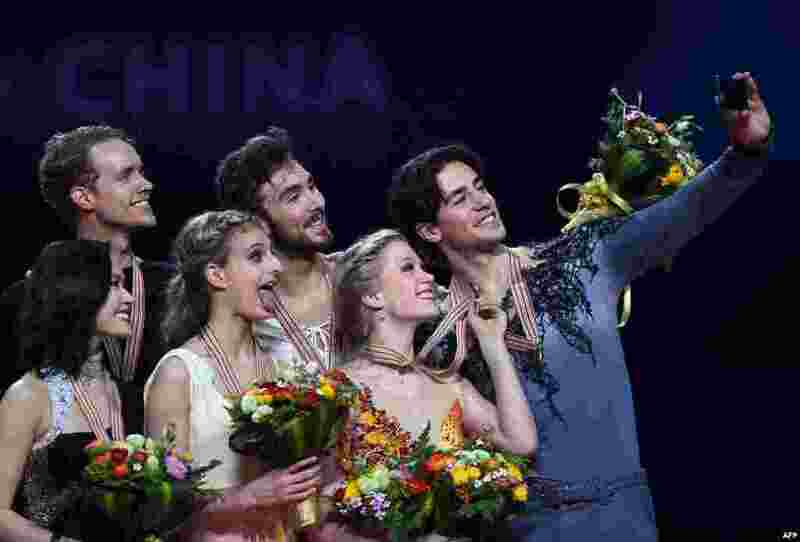 5 (L-R) Silver medalists Madison Chock and Evan Bates of the US, gold medalists Gabriella Papadakis and Guillaume Cizeron of France and bronze medalists Kaitlyn Weaver and Andrew Poje of Canada pose during the awards ceremony of the ice dance of the 2015 ISU World Figure Skating Championships at the Shanghai Oriental Sports Center. 6 A Nigerian woman prays at the main mosque in the capital Abuja. 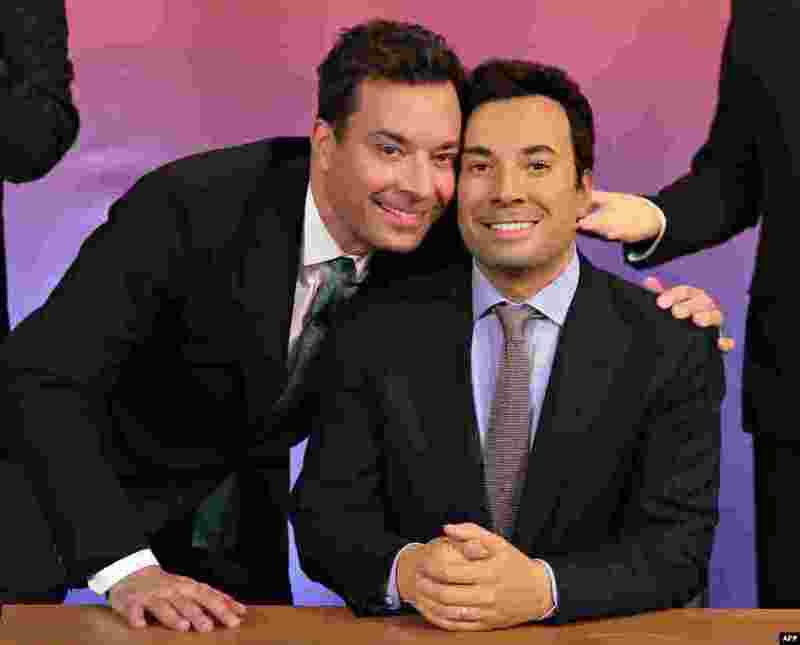 7 Host of NBC's 'The Tonight Show', Jimmy Fallon (L) at Madame Tussauds Wax Museum in New York. 8 A leaflet created by the U. S. Department of Defense to be dropped over Syria is shown after being released to Reuters by the Pentagon in Washington, March 26, 2015. 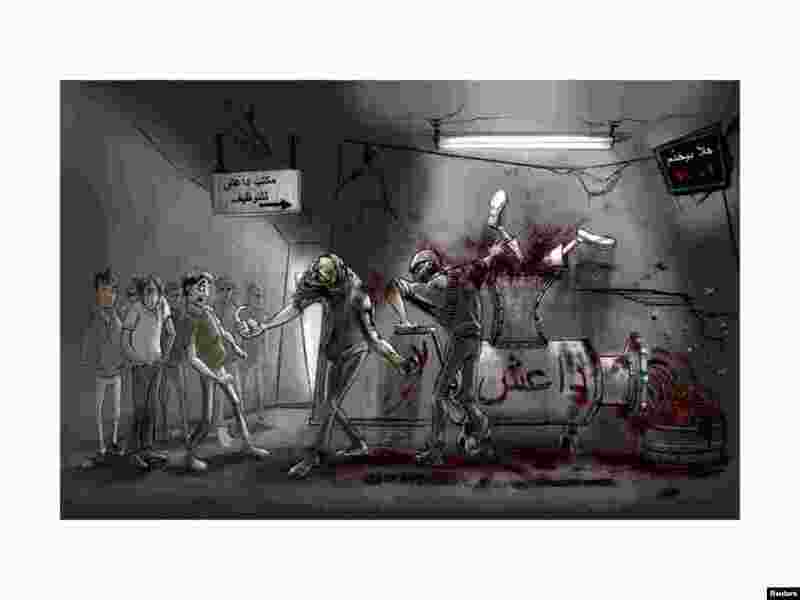 The U.S. has dropped tens of thousands of the graphic leaflets southwest of the Syrian city of Raqqa aimed at discouraging Islamic State recruitment. 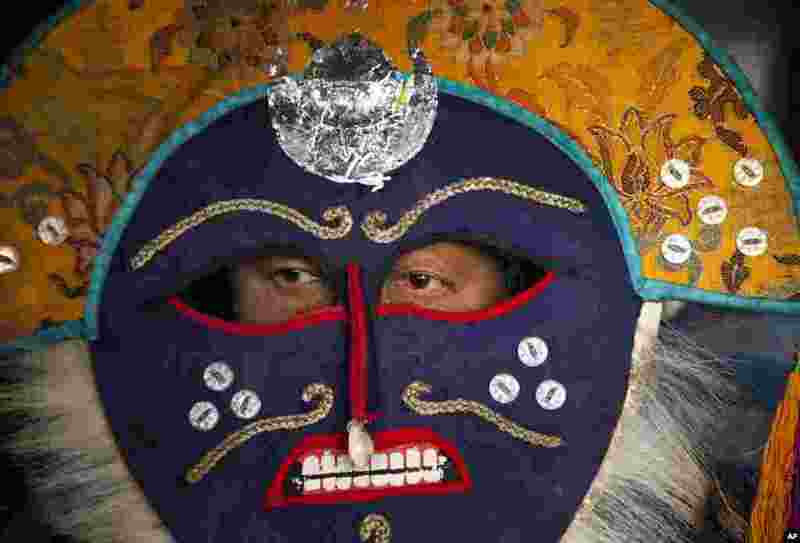 9 A masked Tibetan artist waits to perform a traditional opera at the Tibetan Institute of Performing Arts in Dharamsala, India. 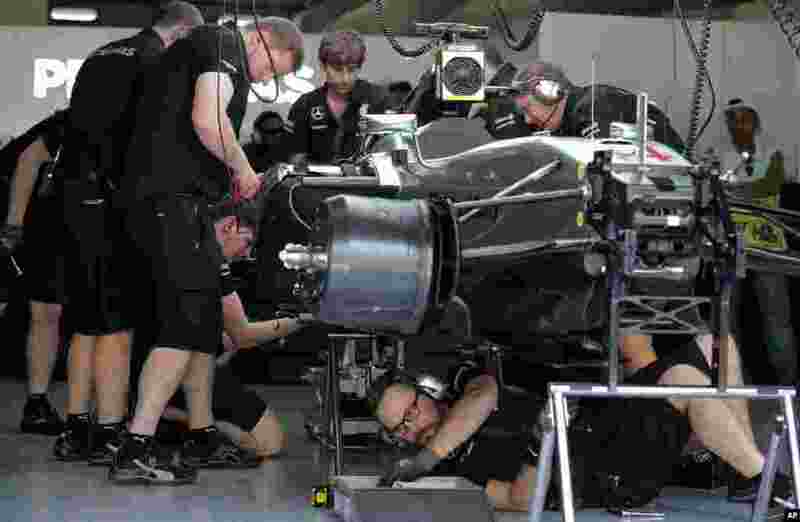 10 Mercedes mechanics fix British driver Lewis Hamilton's car at the team's garage after its engine failure during the first practice session for the Malaysian Formula One Grand Prix at Sepang International Circuit in Sepang, Malaysia. 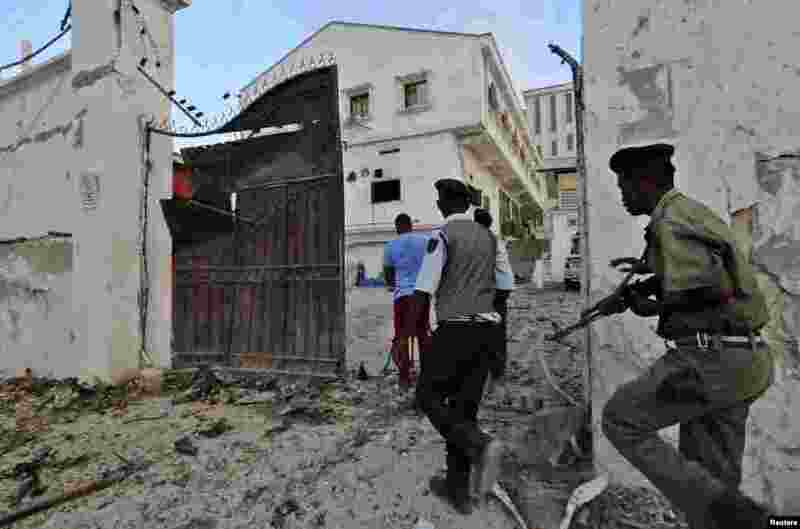 11 Somali police take positions after Islamist group al Shabaab attacked Maka Al-Mukarama hotel in Mogadishu. 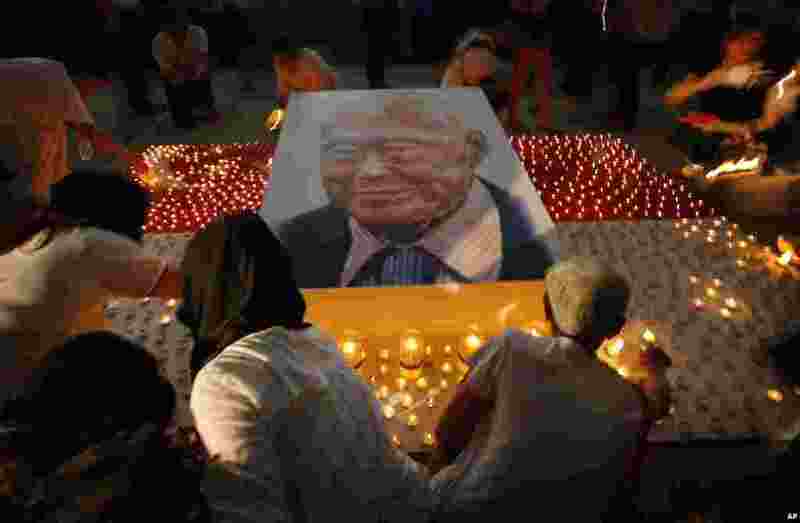 12 Members of the public light candles around a portrait of the late Lee Kuan Yew as a tribute to him, in Singapore. Lee, 91, died Monday at Singapore General Hospital after more than a month of battling severe pneumonia. 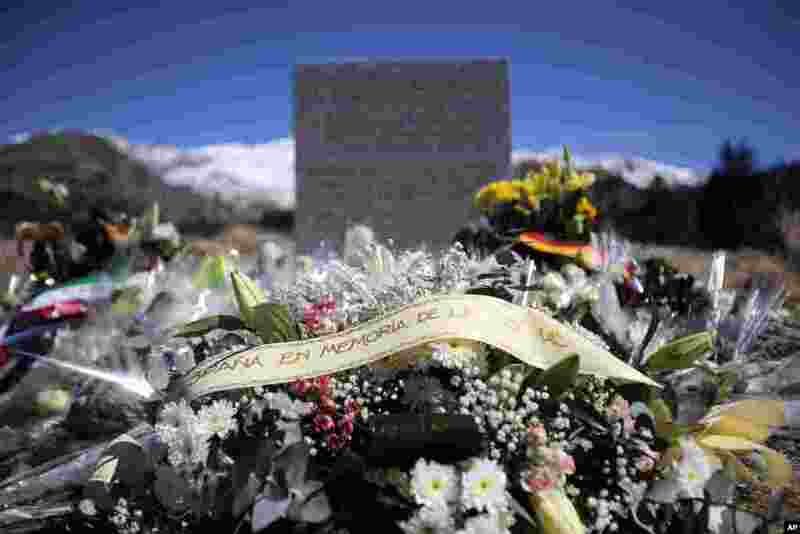 13 A stele and flowers laid in memory of the victims are placed in the area where the Germanwings jetliner crashed in the French Alps, in Le Vernet, France.